A close friend experienced the death of his grandson as a result of this season’s particularly virulent flu strain. He was a healthy young “athlete in perfect physical condition,” but as his grandpa shared the story, I was sick to think that I may have been able to help if we could have acted quickly. There’s more we can do using essential oils and other safe, natural means to prevent such tragedies. 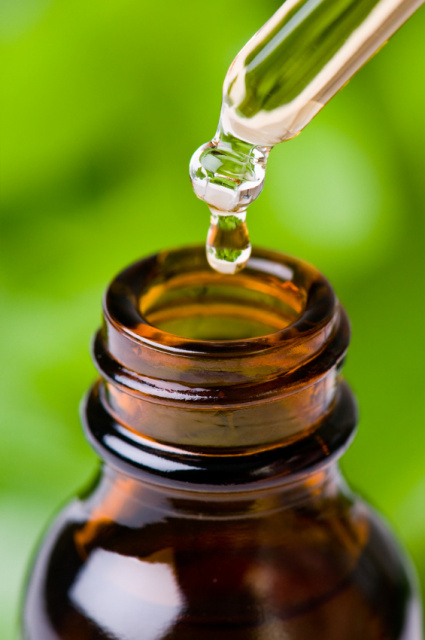 Dr. Daniel Penoel personally trained me in the medicinal use of essential oils. His medical practice in France centers around prescribing essential oils, especially for ear, nose, and throat conditions like colds, flu and all respiratory infections. His therapies are becoming more widely accepted all the time. In fact, just recently Dr. Joseph Mercola’s Natural Health newsletter offered this advice, “use natural antibiotics. Examples include oil of oregano and garlic.” He affirmed what Dr. Penoel has taught for years that “these work like broad-spectrum antibiotics against bacteria, viruses, and protozoa in your body. And unlike pharmaceutical antibiotics, they do not appear to lead to resistance.” There are, of course, many more essential oils that do much the same thing, but oregano is one of the strongest. There’s far more to the power of essential oils than just taking an oregano oil capsule, however. At the first glimpse of a cold or flu symptom (scratchy throat, sinus headache, chills, fever, upset stomach, etc. ), I go into all-out massive action using a blend of oils Dr. Penoel suggested. I call it my defense blend. I use it aggressively in every way essential oils can be used—ingestion, topical application, and diffusion (into the lungs). I start with my “lick trick,” placing a trace of my blend on the back of my hand, licking it off and distributing the aromatic molecules around my mouth with my tongue, especially as far back on my throat as I can. This immediately gets antiviral molecules working into my sinuses, throat, and digestive system. They are also absorbed into the capillaries of my mouth and circulated throughout my body. I do this every few minutes until the sore throat goes away. If I feel it coming on or coming back in the middle of the night, I get up and do it instantly for about an hour. I don’t wait. Viruses multiply fast. I take essential oil capsules I create myself with this blend. Dr. Penoel in his book, Guide to Home Use of Essential Oils suggests taking 3 to 5 a day. I often take more, especially at the first of the infection. During the cold and flu season, Dr. Penoel suggests taking a capsule daily. Check out this video on filling capsules. I diffuse my defense blend as I shower, bathe, or shave—at least twice a day. The combination of steam and essential oils sooths all those infected nose and throat areas and helps keep the lungs clear of more infection. I even put a few drops at a time in a pot of boiling water and inhale to clear my sinuses. This is especially important if the infection develops into laryngitis. Topical application is essential for keeping the cough, ear infections, and sinus infections under control. I dilute the blend and use it on my chest and around my ears (not in the ear canal). I apply it on my forehead and around my nose and cheeks where the molecules can be absorbed into sinus areas. I take a hot bath daily with about 20 drops of the blend mixed with Epsom salts. After the bath I apply the blend undiluted to the bottoms of my feet and wear socks to bed. I also load up on Vitamin D and check with a health-care professional if the condition gets out of hand in any way. I use prescription antibiotics as necessary. But I keep using the essential oils at the same time along with probiotics. They clear things up so much faster and more thoroughly. Here’s the recipe for my defense blend: In a 15 ml amber dropper bottle I put 20 drops of Oregano, 20 drops of Peppermint, 20 drops of Geranium, 20 drops of Basil and 100 drops of Tea Tree. If I’m making capsules I fill the bottle to the top with Grapeseed Oil, shake and fill my capsules. I also use the blend undiluted. You can learn more about all these tips on my website in the training and newsletter archives. I invite you to order all these oils on my website as well as wonderful blends that target virulent strains of respiratory infections.